The Everlasting Brotherhood Urban Fantasy Novel. Description: When two close friends, Isaac Frost and Jamie Dark, are evicted from foster care at the age of eighteen, they are immediately exposed to the reality of life. However, their perspectives of this reality contrast. How Much This Book Means To Me. Some of the characters in this book go all the way back to when I was just in third grade. One of the main characters from this book, Isaac Frost, is my oldest imaginary character. He was the first original character I've ever created and has thus always had a special place in my heart. I've written his book many times over the years from the third grade, to the 4th grade, to the 5th grade, to the 6th grade, and again in the 8th grade -- but for the first time in all those years, Isaac Frost will have his book published for the first time! If you haven't already, go ahead and subscribe to my mailing list so I can update you about my latest novels and projects. I may also send some positive messages every now and then. 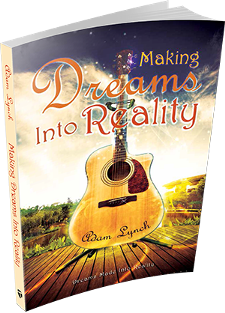 In addition, if you sign up, you will also receive a free copy of my 1st novel, Making Dreams Into Reality. If I haven't been able to convince you to buy this book yet, then I strongly urge you to at least check out the first three chapters of the book. If you like books with a darkish and urban-like style -- filled with lots of intense action and intriguing dialogue, then this is the book for you! There's loads of conflict throughout, but I've always believed in epic and happy endings, so rest assured you will finish this book satisfied and empowered! Chapter 1: Business Gone Ablaze. 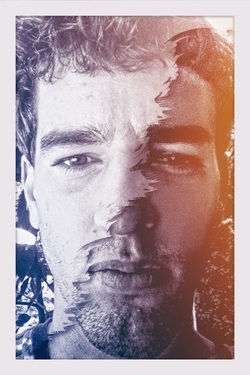 The book is told in first-person, present tense with dual points of view. In this chapter, the book starts off in the perspective of Isaac's closest friend, Jamie Dark. Chapter 2: Hope of a New World. The point of view switches off to Isaac Frost in this chapter. Chapter 3: Desire. The point of view returns to Jamie Dark. Want to find out what happens next? I hope you do because things are just getting started! Join me and my legacy to bring my childhood character to life!